Argentina’s The Clan, not to be confused with Chile’s The Club, is bold, intense filmmaking. This powerful drama, Argentina’s Oscar submission in the most recent race, invites the audience into the home of a family of entrepreneurs. Like the clan behind Tony Soprano, the Puccio household draws loyalty along bloodlines and raises the bar for small family businesses. We’ve seen stories of kidnappings and revolution in Latin America before, ranging in films from Missing to No, but writer/director Pablo Trapero breathlessly and rivetingly presents an underworld in which the business of taking lives is a deliciously evil endeavour. The Clan dramatizes the true story of the well-to-do Puccio family, which patriarch Arquímedes (Guillermo Francella) leads with dreams of upward mobility. Being in the middle class isn’t easy in the days before democracy’s return to Argentina, especially since Arquímedes lost his job in the secret police following the Falkland Islands War. The Puccios try their hands at selling baked goods and sports equipment, but humans are the cheapest commodity to move and traffic. 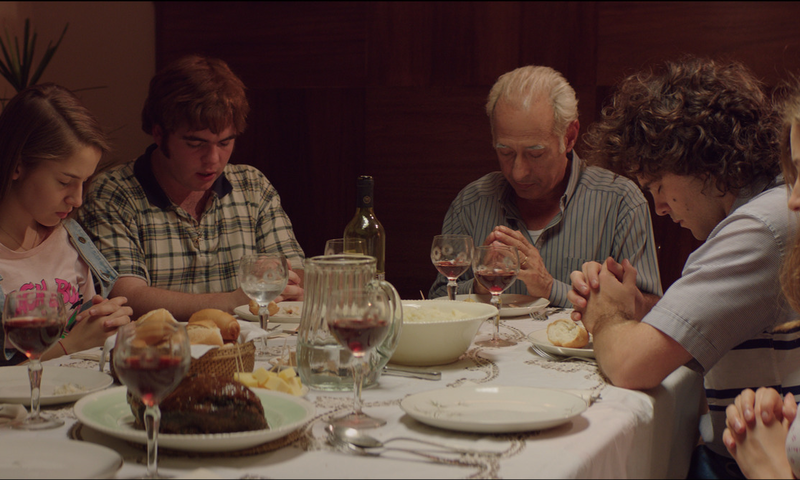 Arquímedes enlists his son Alejandro (Peter Lanzani) to help with the inventory, while his wife Epifanía (Lili Popovich) cooks chicken for the hostages. This mom and pop shop is a seedy, if tightly knit business. Trapero makes the seedy work of Arquímedes and company so utterly fascinating, however, by showing that the business of kidnapping—arguably the stupidest of enterprises—can be a purely transactional practice. The Clan denies Puccio any political resonance to his crimes, for he does it simply for the money and the sense of power. When he later tries to increase the scope of the kidnapping network and expand by enlisting the aid of former friends from the military, the efforts don’t fly nor do they gain him any exposure. His business is nothing but self-serving crime, which gives the story ample resonance in an age of broken economies and a dearth of opportunities. It’s hard to make an honest living and The Clan is an unsettling reminder that crime doesn’t pay. The Clan creates a convincing and suspenseful crime saga by burrowing into the intricacies of this family business and the tensions they create. The cast of complex characters, chief among which is Lanzani’s anguished, if greedy, Alejandro, lend themselves to a densely packed web of loyalties and lies. This family saga shows how easily anyone can be corrupted and how difficult it is to escape such close relationships to deviance. Even staying silent makes one an accomplice. The film also engrosses the viewer with top-notch production values that further prove that Argentina is making some of the tightest and most finessed works in Latin America. Tautly edited by Trapero and Alejandro Carrillo Penovi, and shot with brooding darkness by Julián Apezteguia, the production values are most impressive. Especially significant in terms of style and the film’s accessibility for Canadian audiences is the film’s phenomenal soundtrack. The Clan features an electrifying playlist of familiar rock tunes that reverberate through the film as Arquímedes coolly unleashes violence on his victims and their families. The hit songs from The Kinks, Ella Fitzgerald, and Creedence Clearwater Revival offer chilling feats of juxtaposition as they make the Puccio Clan easily relatable and human, but the tunes also make the violence especially jarring. The Clan evokes the spirit of Scorsese with its toe-tapping violence—the film is reminiscent of GoodFellas with its poppy violance and surely the memorable use of “Layla” the Scorsese film offers a note of inspiration for this captivating crime saga. The performances are similarly laudable with Francella portraying Arquímedes as a detached man who shows no remorse for the crimes he commits, the lives he takes, or the families he destroys. He’s a man of chilling cruelty—and a source of endless fascination as he swells with power and cool, calculated menace. Lanzani, on the other hand, offers the moral centre of the film as Alejandro grapples with greed and guilt while recognizing the gravity of his actions. The burden of the Puccio sins bears strong on Alejandro and the heaviness leads the film to its shocking and unsettling finale. There’s no happy ending to be found here. One leaves this thrilling film shaken and awed. The Clan opens in Toronto on Friday, March 25 at Cineplex Varsity.